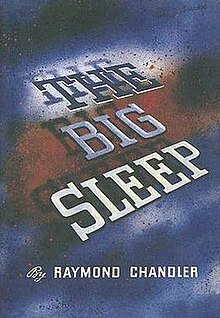 I don't review a lot of books but I would like to take a moment to recommend you read The Big Sleep by Raymond Chandler. I'm not surprised. 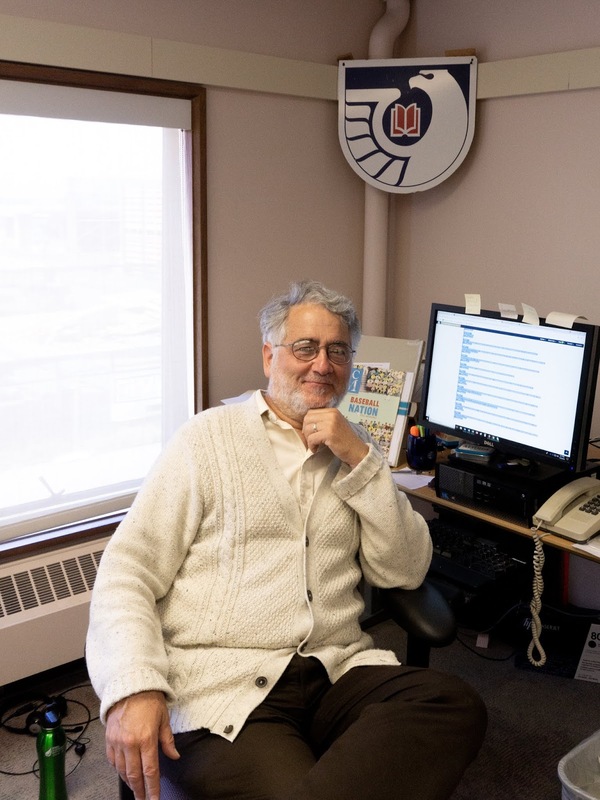 But I suggest you should read the new annotated version, edited by Owen Hill, Pamela Jackson, and Anthony Dean Rizzuto. I have been having a heck of a good time with it. One reason to pick it up is presented by Otto Penzler in a blurb: "What a great excuse to read this masterpiece again!" That reminds me: I should say that if you have not read this classic private eye novel, you should not start with this edition. The editors, quite reasonably, are not shy about pointing out when something in Chapter 4 is foreshadowing an event in Chapter 14. So what do the annotations bring to Chandler's text? * Literary context. We tend to talk about Dashiell Hammett and Raymond Chandler in the same breath, almost as if they shared an office. Actually they only met once and at that point Hammett was the champeen and Chandler (although six years older) was a rookie. 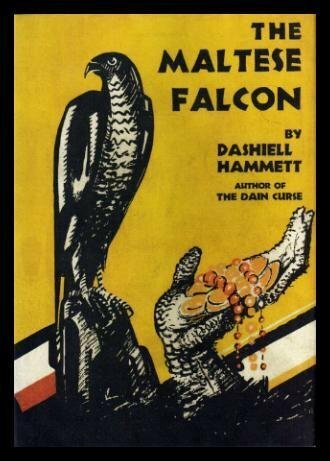 But more to the point, The Big Sleep was published in 1939, ten years after Hammett's The Maltese Falcon, and the annotated edition points out how much Chandler borrowed from it. (More about that later.) The book also has passages from Chandler's earlier stories which he "cannibilized" for the novel, showing how he modified them. * Geographic context. The book provides maps and photographs of the places detective Phillip Marlowe visits (and when they are fictional, points that out as well). At one point Marlowe arranges to meet someone at the Bullocks Wilshire. The editors provide a photograph and explain that this was the first department store built with its main entrance in the back, facing the parking lot. It was a "temple to the automobile." * Language. What is a pinseal wallet? What is flash gambling? Is it a good or bad thing to step off for it? The editors explain these and many more. * Symbolism. In literary criticism one always has to wonder whether the interpreters are finding more than the author intended, but let me give you an example of what we find here. In the opening chapter Carmen Sternwood asks the narrator his name and he replies "Doghouse Reilly." Of course, this turns out to be false, but does it mean anything? The editors point out that it is the sort of nickname given to Irish boxers (and Carmen then asks if he is a prizefighter.) They also note that "Doghouse" suggests someone who is constantly in trouble, true enough of Marlowe. But let's go deeper. The Big Sleep is famous for its knight symbolism. (A stained glass window featuring one appears on the first page, for example.) The editors note that "In the great heroic epics, the hero's true name and character often remain hidden until revealed by a distinctive sign or work." Is that what Chandler had in mind? * Movie connection. The editors point out how the book was changed for the Bogart classic. And of course they discuss the famous issue of "Who killed the chauffeur?" I'd like to point out one way in which the annotated book broadened my thinking about something quite removed from Chandler. The editors compare Marlowe's violent encounter with the gay man Carol, to Sam Spade's reaction to gay Wilmer in The Maltese Falcon. They suggest that both are examples of "homosexual panic." Well, I had heard that term before, but what does it mean exactly? The editors don't find it necessary to explain. According to Wikipedia "Homosexual Panic Disorder" was a psychological condition coined in 1920 and no longer recognized by the APA. It referred to "panic due to the pressure of uncontrollable perverse sexual cravings," and usually included passivity, not aggression. This does not seem to apply to Marlowe or Spade. There is a separate entry for "Homosexual Panic Defense," now usually called "Gay Panic Defense," in which an attacker claims he suffered temporary insanity after receiving unwanted approaches by a gay man. That doesn't seem to apply to the two novels either; neither Carol nor Wilmer were putting the moves on the PIs. A medical dictionary gives a definition closer to what I have always thought it meant, and what I think the editors had in mind: "an acute, severe attack of anxiety based on unconscious conflicts regarding homosexuality." In other words, someone attacks a gay man because his very existence makes them question their own sexuality. And you could well make the case that that is what happens with Marlowe and Carol. But does it apply to Spade and Wilmer? Here is Spade's outburst: "Keep that gunsel away from me while you make up your mind. I'll kill him. I don't like him. He makes me nervous. I'll kill him the first time he gets in my way." Homosexual panic? Maybe. But, you see, I don't believe Spade means it. I realize now that I think everything Spade says to Guttman (and to most of the other characters) is an act. Of course, we see Spade through a third person narration so, unlike Marlowe (or Hammett's own Continental Op), we never get inside his head. One of the reason his speech at the end of the book is so moving is that for the first time, I think, he actually tells us why he is doing what he does. Decatur Street Car Barn, now a bus barn. Photo by Volcycle. Speaking of which, one of the joys of a book like The Annotated Big Sleep is quarreling with the authors. especially about what they choose to annotate. Why explain bacardi but not pony glass? Why does jalopy require a footnote but car barn doesn't? Since Marlowe is comparing the size of a house to a car barn, it is important that the reader knows he is talking about a building big enough to store street cars in. I also wish they had commented on Chandler's frequent use of the adverbs savagely and viciously, most famously at the end of Chapter 24. But those are minor gripes and, as I said, part of the fun. The book is a job well done. One of my earliest memories was of my Mom reading to me from "The Annotated Alice," Both of Lewis Carrol's "Alice" books which we got about 1960. And Rob, there is actually a "Gay Panic Defense," in legal terms; the murderers of Matthew Sheppard claimed it in their case (and it has since been claimed that they didn't.) Wow! How's that for a segue? As you say, Rob, the annotated version is a good excuse to read the book again (as if we need an excuse ;-) ). But it's a fun book, the annotated. And as for Bullock's Wilshire, it was/is an amazing building architecturally and interior decorating-wise. It's no longer a department store, but a law school. I think they give tours on occasion and they might be worth checking out. This is fascinating. My plan, now, is to re-read my copy of the book, re-watch the movie, and then read this annotated version. Thanks, Rob! Paul, I was hoping you would comment, since this is literally your territory. I'm glad you enjoyed the book. Jeff, in England that used to be (still is?) called the Guardsman's Defense. I remembered hearing about it in an episode of Rumpole of the Bailey (although Rumpole did NOT use it). Oh, I'm going to have to get hold of the annotated edition. BTW, I agree, everything Spade says to Wilmer is pure theater. Aaaaaand just picked it up.